Each piece stands uniquely on its own in it size and shape. Stage 1 - I start with Cone 6 Stoneware Clay to create greenware pieces. Once the piece is formed, it must be completely bone-dry in order to be fired the 1st time or it will burst in the kiln; this step takes the longest 2-3 days . ​Stage 2 - The greenware is low fired to Cone 04, to create bisqueware which enables it to be glazed. Stage 3 - Glazing the bisqueware by either brushing on the glaze or by dipping the piece in a bucket of glaze. Stage 4 - Placing the piece in the kiln where the heat takes control. The piece is fired for a 2nd time to Cone 6, *2100 degrees, becoming Stoneware. 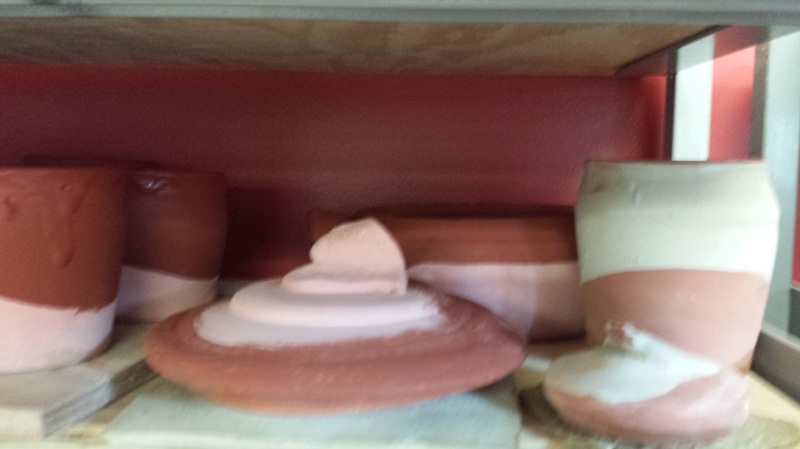 Each firing adds at least two production days, one for firing and one for cooling. 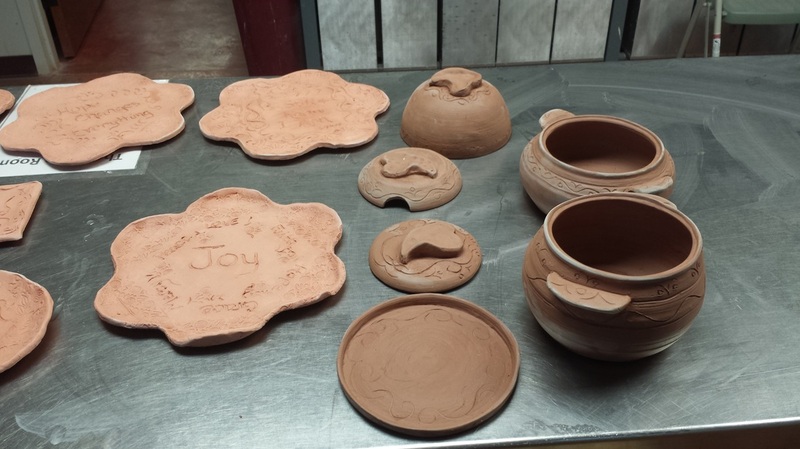 ​The stoneware is fired to such a high temperature, each piece is extremely durable. It is food safe, oven safe and dishwasher safe. I use only lead-free glazes, the clay is certified 100% non-toxic and is made from raw materials from here in the USA.